The unfortunate increasing trend of child labour is not only a local (States and Federations) challenge but also a global concern hence the International Labour organization, ILO has begun actions to tame the trend, reports ITRealms. Records has it that, 541 million young workers (15-24 years old) - which includes 37 million children work in hazardous places. Child labour is also said to account for more than 15 per cent of the world’s labour force and suffer up to a 40 per cent higher rate of non-fatal occupational injuries than adult workers older than 25. This global ugly trend in addition to the campaigns of Sustainable Development Goal (SDG) target 8.8 on safe and secure working environments for all workers by 2030, and SDG target 8.7 of ending all forms of child labour by 2025, prompted ILO to bring together; the World Day for Safety and Health at Work (SafeDay), and the World Day Against Child Labour (WDACL) in a joint campaign for the 2018 SafeDay, to improve the safety and health of young workers and end child labour under the common theme: eliminating child labour and promoting a culture of preventive occupational safety health (OSH). In different countries and nation states this theme is discussed and various actions taken in accordance to their specific child labour implications. In Nigeria, and probably the entire sub Saharan Africa, child labour is said to be at its worse hence the, Nigeria Safety & Security, NSAS Awards and Lecture, annually used by Safety&SecurityWatch magazine to commemorate the ILO Day of Safety and Health at work, dedicated its 2018 edition to Child Labour in Nigeria. Two incisive presentations on the theme were delivered; one by a profound aviation safety professional, Engr. Godwin Anokwa, who heaped blame of the aberration seen as child labour on poverty, lack, ignorance, culture and other associated reasons. On his part, the second speaker and moderator of the Discussion that followed the presentations, a rounded safety professional, Engr. Badmos Jamiu, argued how the children, most of who are their families bread winners would be put off working considering the level of poverty and hunger ion the land. He maintains that child labour may not be eradicated as it were in the Nigerian context for the above reason, he therefore appeals to employers of these children to create a conducive work environment that can mitigate the hazards associated with under-aged workers to enable them work safer. It was indeed a very touchy topic that aside the panel of discussants drawn from teachers, lawyers, employers of labour and child based government and non-governmental organizations, almost everyone in attendance had something to say or an experience to share. In her contribution, the managing editor of Safety&SecurityWatch magazine, organizers of NSAS Awards and Lecture series, Dr. Amaechi Chinyere, reminded the gathering that in the past, students do vacation jobs or while waiting for JAMB to go to the University after G.C.E O’level; the common employment was either office assistant to run menial errands or clerical officer. But the times have changed for the worse she continued, where employers take advantage of the hunger on the land and these desperate young ones particularly the industrialists who assign them to hazardous tasks ill equipped for it - with little or no training and no personal protective equipments, PPE. More often than not, they are engaged as casual workers as another scheme to pay them pittance for their hard labour. Dr. Amaechi therefore appeals to employers of labour to in addition to the provision of an ennobling working conditions; to also give these children age appropriate engagements as well as train and equip them adequately for the task so assigned. The event also featured film clips on child abuse and child labour as parents were advised to give birth to the number of children they can cater for rather than engage their less fortunate children in child labour. High point of the event was the presentation of Awards and medals to Awardees. 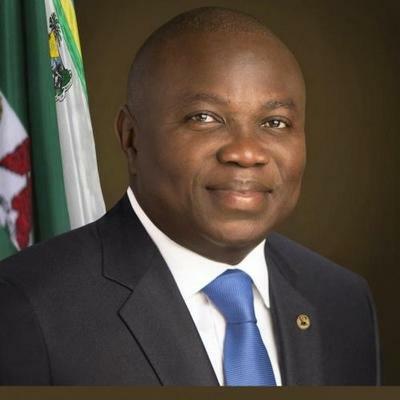 The Lagos State Governor, H.E Akinwunmi Ambode was the Safety Man of the year, the Director, Department of Petroleum Resources, DPR, Mr. Modecai Danteni Baba Ladan was the Safety Icon of the Year while Nigeria Maritime Administration and Safety Management Agency, NIMASA took home the Safety Organ of the Year Award. Other awardees include: Group Safety Manager MTN Mr. Fynray Mbata, former national president Environmental Society of Nigeria Engr. Olu Andah, immediate past director of factories Federal Ministry of Labour and Employment Mrs. Nofisat Arogundade, Dr. Ibilola Amao of Lonadek and Vision 2020, Youth empowerment programme, Anambra State head of Fire Service Engr. Agbili Martin, and many other worthy Nigerians who came from far and near for their recognitions.